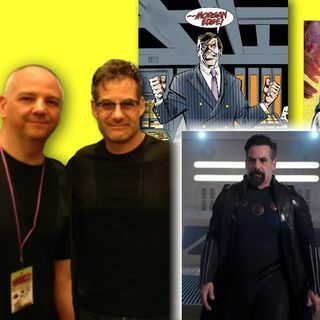 #265: Agents of SHIELD and Supergirl's Adrian Pasdar talks villains and comics! He's a man on the edge – Morgan Edge, that is! Actor Adrian Pasdar returns to the Lair to talk about the latest comic character he's bringing to life on the CW's Supergirl. PLUS – we'll get the inside scoop on how he went from General Talbot on Marvel's Agents of S.H.I.E.L.D. to the supervillain Graviton!